What a coward! He tried to me rip me off, unsuccessfully - luckily. Thought structured settlement factoring companies are rip offs, as some would like to collectively name us (because of bad practices of irresponsible players in the field)? Turns out, the reverse may be true. 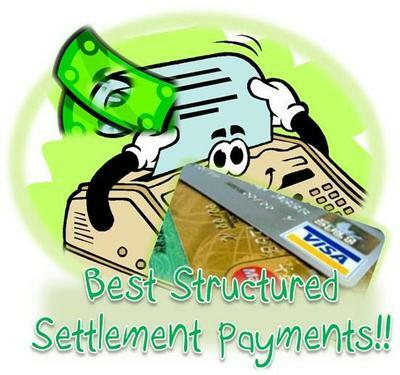 Structured settlement buyers may fall prey to sophisticated thieves. So, was my experience a week ago, when a phony "structured settlement seller" tried to defraud me. It was a person who called me from a different state. He pretended to be a claimant who was injured in an auto accident some years ago and is receiving steady monthly structured settlement payments that are supposed to continue for a number of years. He offered me to buy out his periodic payments, in significant amounts each, for the next 10 years. The offer sounded attractive at first. I requested a fax of his original structured settlement plan, a first step in any structured settlement transfer. Poor guy! He complained he has no fax machine and only .50 cents at hand, so I suggested he takes it over to a service center and faxes it to me at my expenses. He readily agreed. A short while later, they called me from the "center" and charged my credit card. The fax didn't go through, so I provided another credit card, but still the fax failed to come. Guess what! My credit card company called me to alert about a suspicious transaction. Then I verified with the other credit card company. Sure enough, that criminal ripped me off with a few thousand dollars! He appeared to have done his homework beforehand and knew something about how structured settlement buy outs work, had an idea about the discount rate, various ways of selling payments and even knew to point to a "crooked competitor" who is "known to rip off" clients, so he won't go with them (sadly;-). Luckily, this incident had a happy hand. Another lesson to be careful. We are buying structured settlement payments in New York, as well as other states, including New Jersey, Pennsylvania, Florida and more. Because of often doing business from a distance it may easier for swindlers to attempt to defraud us. Never mind, we'll spot them! I would like to hear your comments on this story, so if you had a similar experience of being targeted, as a structured settlement buyer or seller of payments by disguised professional thieves or dishonest companies or individuals, I'd be eager to read your story. Feel free to comment below. Join in and write your own page! It's easy to do. How? Simply click here to return to Cash Advance - Cash For Structured Settlement.